At More Than Paper, we've carried Pen at Hand for years and now through January 31st, we have over 300 products at 10% OFF our already low prices. Pen at Hand is the original stick figure company with personalized characters to look like your friends and family printed on all types of stationery and gifts. Since the debut at the National Stationery Show in 1994, Pen at Hand has been recognized in the Wall Street Journal as best Children's Stationery, the directors of ABC's The View picked several products for Director's Choice, lunch sacks have been featured on NBC's Today Show, and there are hundreds of thousands of happy customers around the world. 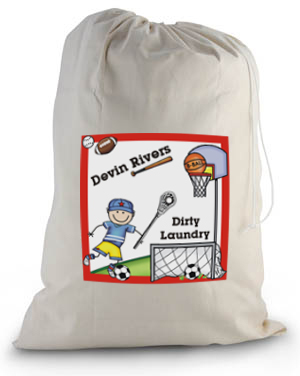 We love their quality manufacturing and quick turnaround time. It's amazing how specific you can get with your character, the choices are plentiful! Check out all your options for your stick figure "heads" below. 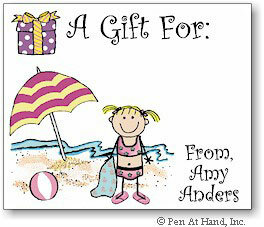 Choose your stick figure and place it on gift tag stickers like this one for a little girl. This makes gift giving easy, personal and fun! Or choose address stickers for your camper to encourage letter writing home while at sleep away camp. 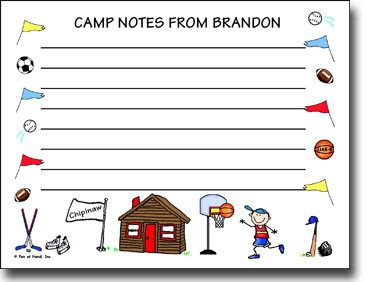 We love these camp notes! 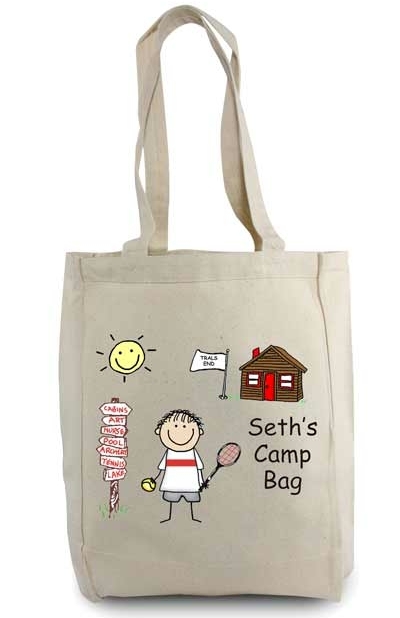 We also have tote bags and lunch sacks by Pen at Hand, all which make great gifts. So what do you think? What is your favorite Pen at Hand product that we sell? We have over 300 products from which to choose -- share your favorite here or on our Facebook page! Shop now through January 31st and stock up for camp, school, and your desk for 10% OFF our already reduced prices! Great ideas. Thanks for sharing wonderful information.Visit Paper Bags Online to purchase paper bags at the best price.